There have never been more international opportunities for college students; potential employers see international experience as a qualification in hiring college graduates. Not only is studying abroad beneficial to one’s resume, traveling broadens the mind, grows compassion, and allows the person to see the world through a new lens. The program is open to a limited number of students, 500 or less, providing a more intimate experience while abroad. The program is at least a semester long. Faculty from the university are involved with the students internationally, either traveling with the students, teaching abroad, or overseeing the program in the country. The university has a specific location internationally, students are not simply enrolling at international universities. An elaborate Victorian manor house with over 100 rooms in the picturesque English countryside is second home to University of Evansville students and faculty desiring to study abroad. Harlaxton College, the British campus of the University of Evansville is located just one hour north of London and for lovers of English history and culture, this program will not disappoint. 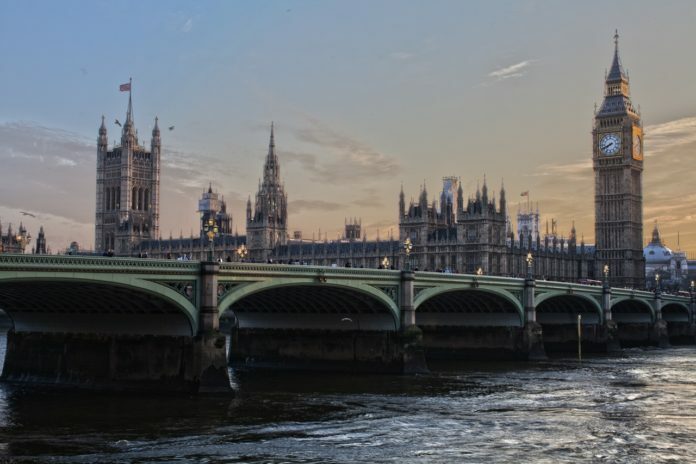 Students spend a semester studying an interdisciplinary introduction to British life and culture, including literature, art history, economics, history, and political science. Each course contains a combination of lectures, seminars, and travel. A medieval 12th century castle in the Italian Alps provides the backdrop for Guilford College’s Brunnenburg Semester. Students combine study and work while overlooking the town of Merano, near the Austrian border, and in easy reach of Munich, Vienna, Verona, and Venice. Fourteen students are chosen for the Brunnenburg Semester and reside in the castle “croft.” Regular excursions by foot into the South Tyrol region are a rich and integral part of the program, as well as more extended outings to major European cities, landmarks, and historic sites. Spend a semester in a 14th century medieval castle with Emerson College’s Semester Abroad Program in Well, The Netherlands. This amazing location, surrounded by two moats that once provided protection to the castle, is home to 85 Emerson students each fall and spring term. Students are selected by a random lottery, and must apply one year in advance. Along with European studies, students will spend the semester admiring the incredible grounds at Kasteel Well while their three-day weekends are filled with experiencing the culture and history of Europe. Goshen College’s Study – Service Team (SST) is a unique program. Founded as a program dedicated to something beyond the usual “study abroad” experience, joining an SST team means serving a local community and total cultural immersion. SST is a 13-week program, divided into two distinct parts. During the first half of the semester students will stay with local families while studying culture and language alongside other Goshen students and group leaders. During the second half of the term, students will spread out and move to a more remote area to begin their work on a volunteer service project dedicated to helping the local village. SST has been an integral part of Goshen since 1968 and has served more than 7700 students. Each semester, Franciscan University of Steubenville brings 150-200 students to live and learn in a 14th century Carthusian monastery in Austria. Classes are taught by Franciscan University professors and students will have weekly travel opportunities all over Europe to such places as Salzburg, the home of Mozart, beautiful Vienna, and the castles of Germany. Students at Franciscan University also have the opportunity to choose a study abroad program at Oxford or to work with professors to design their own study abroad program based on their major and interests. All in all, Franciscan’s study abroad program offers an intimate setting, excellent education, and life-changing experience. It isn’t every college that owns a 4,500 acre Biocultural Reserve in the heart of the Yucatan peninsula. While abroad in the Yucatan, students may take courses in archaeology, business, ecology, education, geology, history, literature, and social-cultural anthropology. The Reserve consists of an off-the-grid Research and Learning Center, a laboratory and research facility in the nearby town of Oxkutzcab, and a dormitory-classroom facility. Students may come back for multiple semesters and conduct research at the facility and continue to take classes. The unique setting and offerings at Millsaps make it a one-of-a-kind opportunity. Spend a semester living at Casa Artom, a historic site once home to the American Embassy, located along the Grand Canal in Venice, Italy. A Wake Forest University resident professor teaches and oversees the program. Students will attend the Venice Film Festival, Carnevale, and other festivals, as well as travel to locations around Italy during this amazing semester abroad. Course offerings are in English, as well as an Italian. Not only will Wake Forest Venice participants come away with a broader knowledge of art, history, and literature, they will have a greater understanding of Italian culture and one of the most famous and historically significant cities in the world. Open to only 25 students per semester, Assumption College offers sophomores, juniors, and seniors a semester in the Eternal City, Rome. The Rome Campus is staffed by full-time Assumption faculty, and students will fulfill their general education requirements while in the “living classroom,” Rome. Travel is an important part of the Assumption Rome program, and trips to other sites and cities are included in the tuition. Housing includes both classrooms and living accommodations where students enjoy family style meals, while enjoying a warm, collegial environment. Butler University offers a unique program which allows students to spend a semester traveling to multiple locations alongside a Butler faculty member. This program is perfect for the student who does not want to settle in one place, but wants to experience several cultures. While traveling, the faculty member teaches one course, and then students are joined at different locations by other faculty who teach other courses related to the locale. In addition to GALA, Butler University offers over 100 other study abroad programs. Carleton College has been sending students abroad for over 40 years. Currently, Carleton offers 18 faculty-led programs along with numerous other programs sponsored by other organizations and universities. Travel with a faculty member and study ecology in Australia, Chinese in China, geology in New Zealand, and urbanization in Tanzania. Students are supported by faculty who strive to encourage personal growth and development of each student while overseas. The University of Washington offers students hundreds of study abroad opportunities. Students are looking for a small group working closely with a faculty member, the UW Faculty-led Study Abroad has many rewarding opportunities. Study architecture in Rome, art in Spain, literature in France, or Spanish in Peru, all while working closely and traveling with a trusted university faculty member. Notably, each program is specially designed by the leading faculty member and is open to students from any of the three University of Washington campuses. In the Land Down Under, Wartburg College’s Dier Program is ideal for those interested in addressing poverty and social injustice. Students travel to Adelaide, Australia, a beautiful city situated near Kangaroo Island, to work with Lutheran Community Care. This community-based organization provides services in South Australia such as food, shelter, clothing, care, and educational programs. Wartburg College also has Dier Programs in Senegal and Tanzania. Eastern Mennonite University requires students to complete a “cross-cultural” study to earn a bachelor’s degree. Most students spend a semester immersed in another culture in locations all over the world: Africa, Asia, Latin America, or the Middle East. During their time abroad, students work closely with faculty members who serve as mentors as students discuss, journal, and process their experience. Students will spend part of the semester living with local host families, forming relationships and learning more about the culture first-hand. Experience the world through Eastern Illinois University’s vast number of study abroad programs. Along with partner programs and third party programs, the University offers various faculty-led programs for students looking for a personal experience alongside trusted and expert faculty. Students have the opportunity to spend a semester in South Africa working in human services. Visiting cultural and historical locations, listening to guest speakers, and touring scenic locations are also part of the curriculum. Exciting weekend activities in the area include shark diving, sky diving, and bungee jumping. Nestled in southwest Germany in the Rhine Rift Valley, is the city of Heidelberg, home to Biola University’s Heidelberg Semester Program. Students live and study in historic old town Heidelberg (an education in itself) while attending concerts in beautiful concert halls, visiting museums, and spending time at a wide variety of wonderful historic and cultural sites. Extended trips are common to Austria and northern Germany and form an integral part of the program. It is worth noting the program is offered in both the spring and fall semesters. When Sarah Lawrence College students study abroad, not only do they get to experience a new culture, they receive the added benefit of small seminar experience and individual work with faculty. Over half of all Sarah Lawrence students study abroad in places all over the world including London, Cuba, Italy, Peru, Greece, Turkey, and Germany. SLC boasts the longest running Cuba study program in the United States. Connecticut College’s SATA, or Study-Away, Teach-Away program gives small groups of students the opportunity to work with faculty in a joint educational enterprise studying in developing nations and working with local communities. During a SATA semester, students will carry a regular course load with a specific academic focus, and spend time taking field trips designed to help develop an appreciation for the history, culture, and social customs of the region. Locations include Vietnam, Peru, Italy, and South Korea. Rhodes College offers students a full semester abroad studying in various locations all over Europe. Students will travel to England, then Oxford, followed by five weeks of travel around Western Europe. This program is one of a kind because students are accompanied by British tutors in Art History. There are two tracks available: one with a focus on Ancient Greece and Rome, and another focused on Western Europe in the Middle Ages and the Renaissance. Upon successful completion of the program, students will receive 18 credits, meeting general degree requirements. Take your pick at U of P and study abroad with a semester in Australia, Spain, Austria, Ireland, Italy, or England. While abroad, students will earn between twelve and eighteen credits. Students studying in Salzburg, Austria will live in a University of Portland residence hall, with the classroom, library, and common room attached in one campus center. The birthplace of Mozart provides an excellent backdrop to students earning credits in art, history, theology, philosophy, and literature. The campus is a short walk from the railway station, which makes the rest of Europe a train ticket away. Situated in the quaint city of Leiden, The Netherlands, Webster University has an international campus that was established in 1983. Webster students can fulfill academic requirements while discovering the rich history Leiden has to offer. Home to the famous artist Rembrandt, and a center of historical and commercial importance for centuries, this city offers easy access to almost anywhere in Western Europe. Students work closely with professors to reach their academic goals while learning the culture and history of the city and region. Escape from the city and spend a semester at the University of Dallas’ twelve-acre campus nestled in the beautiful foothills of southeast Rome. Located where ancient Rome got its start and where Romans and popes take their summer rest, students can meander through the five acres of vineyards that are a part of this breathtaking campus. While in Rome, students take courses designed to maximize their understanding of the roots and development of European civilization. Students will take two substantial trips during their semester, one to Greece and the other through Northern Italy; they also visit many archaeological sites and museums while in Rome. Known as the University of Chicago’s research and teaching arm in Europe, the Center in Paris forms an intellectual community of faculty and students representing traditional, strong ties to European thought and culture. Courses offered at the Center cover the humanities, social sciences, natural sciences, and physical sciences. Over 200 undergraduates study at the Center each year, making the Center in Paris an integral part of a University of Chicago education. Combine theory with practice for relevance in the real world. Students enrolled in The University of St. Thomas’s London Business Semester will gain a global perspective while earning 16 credits towards their degree. Courses are held only with other St. Thomas students. While in London, students will learn about history, customs, culture, economy, politics, and life in Great Britain and the European Union. Student also travel throughout Europe. The program is led by University of St. Thomas faculty, and students live with host families while in London. Ave Maria University offers two study abroad programs, one in Rome, and one in Nicaragua. While in Rome, students live and study at Villa Serenella, a monastery owned by the Antonine order of monks. The monks provide accommodations, meals, and classroom space for the visiting students. The villa is surrounded by 13 acres of olive groves, pine trees, walking paths, and fountains. While there, students take classes in history, writing, theology, and fine arts. Dedicated to the goal to prepare students to understand and communicate with people of other cultures, Dartmouth College has developed a Language Study Abroad Program to help students achieve this goal. Students live with local families while studying the language, literature, and civilization they are immersed in. Along with classes, students go on several excursions during the semester. Dartmouth has LSA programs in France, Italy, Argentina, Germany, Spain, China, Japan, Brazil, Russia, and Peru. Boston University offers expansive study abroad programs in more than 30 cities on six continents. Students travel to study language, liberal arts, fine arts, science, business, engineering, and more. For students who are looking for a smaller, more intimate experience, BU offers 14 programs that are only open to BU students. Among these programs, students may travel to Quito, Paris, London, and Sydney to pursue a broad variety of courses and focus. Anderson University Abroad offers varying programs year by year. Their goal is that every student, regardless of major or financial background will have the opportunity to study abroad, and they have a commitment to helping students create tailor-made programs to fit their majors and interests. Courses are taught by Anderson University professors, and students are eligible for a scholarship to cover their expenses. Discover the rich history, culture, and environment of Croatia, or spend a semester in Australia, always with the support of Anderson University professors. Gustavus Adolphus College offers many of the study abroad exchange programs that other colleges offer, but they also offer three faculty-led semester programs in India, Malaysia, and Sweden. While in Malaysia, students have the opportunity to participate in community service, as well as become accustomed to many local traditions including shadow puppetry, batik, woodcarving, kite making, and traditional dance. Frequent discussion and debriefing following these activities play an integral part of the program. Learn more about the Middle East and Islam with Northwestern College’s Oman Semester. Oman, an Arab country in southwest Asia, is known to be a peaceful country. Students will live and study in Muttrah, the old part of the capital city of Muscat. While in Oman, students will study Christian-Muslim relations, Arabic, and Oman’s rich culture and society. They will also spend time traveling throughout Oman and will ride camels, climb the Wahiba sand dunes, and watch sea turtles laying eggs. In addition to the semester in Oman, Northwestern College also offers students a semester in Romania, studying post-communist Eastern Europe. Travel to Tanzania, India, France, Germany, Austria, Ecuador, Japan, Spain, or New Zealand with Earlham College’s semester abroad programs. Each program is unique and offers a different focus. Students may choose the program that interests them and best fits with their major and goals. Over 65% of Earlham students spend a semester or year in another country; past students tout their time abroad as one of the most important parts of their liberal arts education. Programs are open to students of all majors and students will fulfill their general education requirements while abroad. Beginning in Fall 2015, Duke University will launch a semester long program in India, focusing on both rural and urban life. The first half of the semester is spent in a village studying and researching poverty and global health. The second half of the semester will be spent in Bangalore, one of the largest cities in India, studying urban environment, health and development issues, income disparities, and slum areas. Another part of the coursework includes spending a week at the Bhadra Wildlife Sanctuary and Tiger Reserve learning about endangered species and the link between conservation and development. Taylor University hosts two of its own study abroad programs, in Ecuador and Ireland. While studying in Ecuador, students will experience all four main regions of Ecuador: they live in the Andes Mountains, and will travel to the Galapagos Islands, Amazon Jungle, and the coastal region. Students will focus on Ecuadorian culture and Spanish language study. A semester in Ireland is filled with exposure to Ireland’s fine arts, exploration of the land, and experiencing Irish culture. Georgetown University students can travel overseas to one of the University’s two properties in either Alanya, Turkey or in Fiesole, Italy. These are living-learning communities where students take Georgetown courses abroad. Both locations have an on-site staff who support the students and plan excursions. Students take courses from visiting faculty, and different courses are offered each year. Georgetown also has a satellite campus located in Doha, Qatar. A program established in 1998, Trinity-in-Cape-Town provides students with the opportunity to spend a semester or year in South Africa. Known as a dynamic country recovering from years of racial and class oppression, Cape Town provides unique history, diverse population, and varied cultures. While in Cape Town, students are required to enroll in an academic internship for 1.0 credit at a local school, museum, medical clinic, or other institution as a community engagement requirement. Hamilton College’s program, Hamilton in France, is specially designed to provide individual advising and personal support to each student. A full program of excursions, visits, and group activities are included in tuition; each student will have ample time to see the sites of Paris as well as the surrounding area in France. French culture and history will come alive during a Hamilton in France semester! Middlebury College offers Middlebury Schools Abroad, “an authentic experience through guided independence, allowing students to immerse themselves as fully as they wish in the host language and culture.” Middlebury has 16 schools abroad each different in nature and size, however, all remain small enough to work closely with their students. There is a Middlebury staff member at each site ready to offer academic and personal support. The Schools Abroad program gives each student guided freedom and allows the student tailor their experience to meet their needs and goals. Roger Williams University offers students numerous study abroad opportunities directly sponsored by the University. With a firm belief that students should experience other cultures, develop a new worldview, and carry that knowledge into life-long learning, the University supports their students in their international endeavors. RWU in Florence is a specific program where students take classes in architecture, art history, visual arts, political science, cultural studies, and Italian while living in the beautiful city of Florence, Italy. Don’t forget to try the Gelato! Located in the heart of Paris, “The City of Lights”, Skidmore College offers students an unforgettable French experience. Each semester, a specific academic topic is chosen and designed for students with little or no French language experience. Students will come away with a knowledge of French, as French is the only language spoken at the Skidmore Center. The Skidmore Center is the center for the students, it is home to classrooms, computers, administrative offices, and the library; students will house with French families. Each year, College of Charleston students can choose between seven different semester long study abroad programs. Travel to Argentina, France, Spain, Cuba, or Chile. Students who choose to study in Chile will stay with a host family, specifically chosen by the College of Charleston, giving the students an excellent opportunity to learn about Chilean life and culture. During the semester, students will have ample time to explore Chile and South America on their own, as well as participate in one group excursion. Study abroad with other Loyola Marymount University students in one of LMU’s semester abroad programs. Spend the semester in Bonn, Germany studying engineering, film and television, or science, or choose to live in London, studying and working in one of the greatest cities in the world. Students may also choose to study theatre arts in Bonn and Moscow, spending time in both cities. While in Moscow, students will learn at the acclaimed Moscow Art Theatre School, attend numerous performances, and see the sights of Moscow, Russia. While Emory & Henry College offers students the opportunity to study overseas with over 70 programs in 35 countries. Notably, the college offers unique Emory Abroad Programs, which are faculty-led courses. Students meet regularly to study a topic related to a location abroad, and at the end of the semester, the class travels to that location to experience their learning first-hand. Working closely alongside a faculty member provides an intimate and unforgettable learning experience as students study Renaissance art in Italy, the Holocaust in Europe, or language and culture in Peru. There are abundant study abroad programs available at West Virginia University, including a large number of faculty-led programs. These are created by faculty in conjunction with International Programs “to fill academic needs by placing students in settings they cannot experience while on campus”. Faculty-led programs from WVU take students all over the world, including Vietnam, Turkey, Trinidad & Tobago, Romania, Poland, and Greece. The University of Arkansas offers students an opportunity to study in Rome at the University’s Rome Center. Nestled in the heart of this historic global city, students may take core classes as well as upper level electives in Italian culture, language, art, and history. Students will visit the Colosseum, the Sistine Chapel, and Vatican City during three day weekends and day trips around the city, immersing themselves in the rich architecture and history Rome has to offer. Syracuse University operates eight centers overseas in Beijing, Florence, Hong Kong, Istanbul, London, Madrid, Santiago, and Strasbourg (France). Committed to the well-being of each student, there is an academic director and support staff at each center who assists the student in designing their own academic program based on their goals and language abilities. While abroad, students will participate in homestays, internships, field studies, and community engagement. St. Olaf College offers students six of their own study abroad programs: The Mediterranean semester in Turkey and Morocco, a Term in Asia comparing three Asian cultures, a Global Semester studying culture in Europe, the Mideast and Asia, Environmental Science in Australia, Biology in South India, and a Term in China learning about Chinese society and culture. All programs have a Program Advisor, and offer St. Olaf semester credits. Northeastern University offers a unique Dialogue of Civilizations program, which is a series of global student exchanges between students at Northeastern University and students around the world. The goal of this program is to connect students with peers from around the world and provide a global experience to Northeastern students. Students can choose what country and language they are interested in pursuing. Faculty lead 20 or more students by guiding them through a series of discussions with local leaders regarding politics, economics, globalization, environmental studies, and community activism. The Madrid Center is the University of San Diego’s first, permanent, international location. It was inaugurated on November 17, 2014, and is located in the heart of Madrid, just steps from the famous Prado Museum. This is the location of USD’s semester abroad program in Madrid, which offers similar courses to those offered at USD and with on-site USD faculty and staff. Students may fulfill their general education course requirements during the day, and then relax in the evenings gazing on the works of El Greco, Titian, and Peter Paul Rubens. Bates College has expansive study abroad opportunities through outside organizations, however, Bates College students may also participate in the Fall Semester Abroad. Students in this program develop a foreign language skill and study alongside a Bates faculty member. One program offered is a semester in Berlin, Germany studying the deep cultural history of Berlin as well as mathematics in Germany. The setting provides a plethora of possibilities to enrich learning through travel. Travel to Florence, London, or San Jose (Costa Rica), and study in one of Elon University’s Elon Centers abroad. When studying at an Elon Center, students have the support other Elon students as well as an Elon faculty member. Students who study in Costa Rica have the opportunity to take four overnight excursions to the fascinating Arenal Volcano, Monteverde, Playa Tamarindo, and Panama. They also may participate in an internship or service experience. Participate in a Centreterm, and travel abroad with a faculty member and a specific academic goal in mind. Students journey all over the world with this remarkable program to Egypt, Japan, India, Morocco, and others. Traveling alongside a faculty member allows the student to build relationships and ask important questions. The college also offers internships abroad in Costa Rica, Israel, and Mexico. Nearly 85% of Centre students study abroad through one of Centre’s international programs.